No matter how you look at it, there are so many tech conventions out there that you can easily get lost in. It can be extremely difficult to figure out which conventions would be beneficial to attend. It’s always fun checking out what some of the big time tech companies are creating and showcasing at their events. That being said, you may want to figure out the best way to operate something the new devices coming out. Maybe you’re into programming. Maybe you want to know enough about coding to fix your own troubleshooting problems and NOT call tech support. Well lucky for you, there are tech conventions out there that actually cater to that specific aspect of technology. One such convention, DEF CON, is coming up in August and looks to be pretty amazing. Technically DEF CON is a hacking convention, but you can’t hack unless you can actually program code. The best part about this convention is that it isn’t specifically linear. What I mean by that is, you aren’t really expected to do, well… anything. You can attend the speeches. You can play capture the flag with tech gamers. You can even attend the movie marathons, take on scavenger hunt events, and even attend the live music that will be at this event. That being said, this event is not just a “random do anything you want” type of conference. It is still very driven by technology. The convention itself is still about hacking, and they make sure to let you know that. They also allow for vendors to attend and set up booths on the floor to sell their merchandise. Since this is a tech event that directly involves programming and code, it might be the perfect for tech vendors to set up shop and make a profit. After all, coding, hacking, and programing require powerful computers and components that can take on all of that work. Why spend more money on resources you don’t need? Are you looking to sell off some programs or SDKs to some of the attendees? You’re going to need a platform to show it off. Why not rent your tech for this event. Any type of program or coding is going to need a powerful CPU to show of the extent of it’s capabilities. Do you need a new laptop? Maybe you’re the vendor trying to sell of programs, but those programs need a powerful computer. Since you’re the vendor, you need to makes sure that there are enough devices to go around to attract attendees and make potential sales. Renting all of your iPads, Laptops, and Computers is going to make a world of difference when you’re out on the floor looking at other vendors products and wanting to buy something. All rentals aside, if you’re in the market of learning more about the DEF CON conference, why not check out the many torrents on their site. 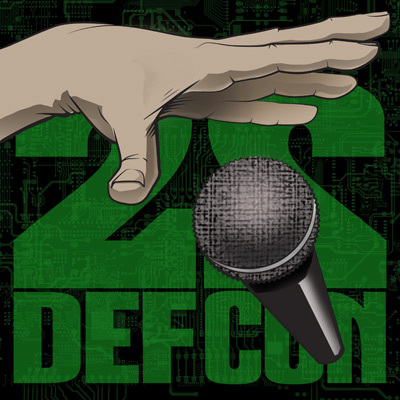 They’ve collected all of the audio from all of the speeches that have happened since DEF CON 1. You can learn from the conference without even attending, but where would the fun be in that? It’s all about the experience and to be honest, this is the type of event that would attract me, and I’m not even a hacker. This is a convention that I would recommend to any tech fan out there. Hackers Unite! This entry was posted in Convention Center Events, Convention Centers, Event Technology, Technology Rental and tagged Coding, Computer Code, Computer Rental, DEF CON, Hackers, Hacking Convention, iPad Rental, Laptop Rental, Las Vegas, Programing, Tech Convention, Tech Rental, Vegas Conventions. Bookmark the permalink.